Drake showcases the duality of his musical expertise by including two sides to his fifth studio album “Scorpion”. Side A corresponds to rap and Side B is R&B. This vintage touch, alluding to classic R&B albums played on cassettes, complements the uniqueness of Scorpion’s dual-genre venture. 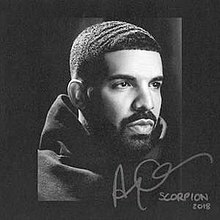 Side A features hard-hitting instrumentals in tracks like “Nonstop” and “Mob Ties,” while Side-B displays Drake’s softer, more insightful side with soothing vocals in tracks like “Jaded” and “Blue Tint.” The astronomical success the album attained is well deserved, as Drake truly showcases the breadth of his musical capabilities, and gives listeners an insight, not only into the duality of his musical talent, but the duality of his personality.